We are a leading Manufacturer of wall louvers sheets, wall louver ventilation sheets and clad profile from Sonipat, India. 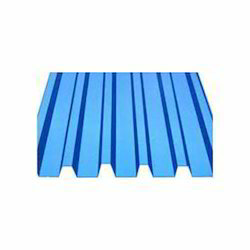 We are engaged in fabricating and supplying of Wall Louvers Sheets. Manufactured using zinc alum & color coated galvanized steel, these enable the free flow of air & prevents entry of dust & water. A special feature of these louvers is, that the back side is covered with bird mesh, which restricts entry of birds. Available in a variety of colors & designs, these can be purchased from us at market leading prices. 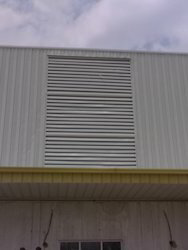 Owing to the dedication of our diligent professionals, we have earned a reputed name in supplying the finest quality assortment of Wall Louver Ventilation Sheets. 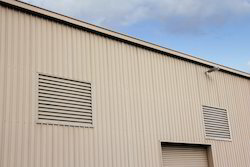 Manufactured using top notch quality raw material and cutting edge technology by our adroit professionals, this louver allows air to pass through it while keeping out unwanted elements such as water, dirt, and debris. Highly praised by our clients for its unique features, offered louver is in line with set industry standards. Our renowned company is considered amongst the prominent supplier of the best quality Clad Profile. Used for roofing purposes in a variety of buildings and are screwless and can be fixed with the help of clips, offered roofing sheets are designed using top-notch quality raw material and modern technology under the guidance of our skilled professionals. In line with set industry standards, these roofing sheets are rigorously tested by our quality controllers on various parameters.